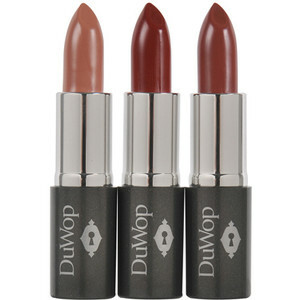 A Sure Think to Keep you Lips Looking Amazing! Mothers Day is right around the corner. No need to worry what to get her this year, we have some great gift that she will LOVE! Help her feel pampered this Mother’s Day with one of these amazing gifts! If your mom or wife has never tried Kai, she is in for a wonderful new surprise! Kai is a favorite brand among celebrities and customers a like. Personalities such as E! 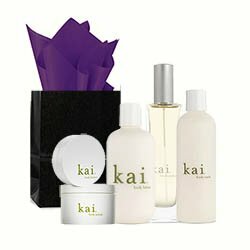 Host Giuliana Rancic, Julia Roberts, Jennifer Garner, Charlize Theron & Reese Witherspoon are among the many Kai lovers! Click here to Buy! Give your worn out feet a total makeover with Get Fresh Feet Collection Relief for Tattered Tootsies. Relief for Tattered Tootsies is a 3-step foot treatment that sloughs, buffs and moisturizes your hard working toes. Click here to Buy! The Skin An Apothecary Gift Trio includes three favorite products (in the fragrance of your choice!) hand mixed and packaged by Skin An Apothecary. With luscious formulas using only the highest quality ingredients, each hand whipped product uses natural oils, herbs, fruit and honey to moisturize and give much need nutrients to you skin. Click here to Buy! FREE OPI POLISH & OPI Lotion 1oz! Relax and treat yourself to a pedicure this Spring. Let Qtica’s Spa services provide you with that feeling of relaxation and pampering. The Qtica Smart Spa system features smart products, uses smart ingredients, and allows salons and spa experience to come right to your house! This system is like no other, with interchangeable products that can be used for manicures, pedicures and body treatments. If you haven’t tried Qtica Smart Spa yet, now is the perfect time! 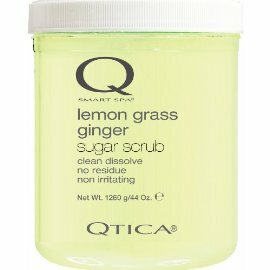 Qtica Smart Spa Sugar Scrub is one of Qtica’s best selling products.Surely the best exfoliating product on the market, this non-drying and non-irritating formula is easy on delicate skin while being one of the most effective scrubs we’ve ever seen. Only $68 for 44 oz! or 7 oz for $14! 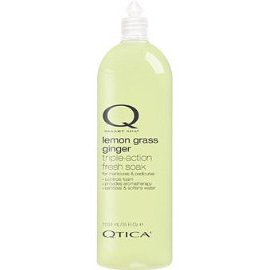 Qtica Anti-Bacterial Triple Action Fresh Soak is a three in one, all-purpose soak that gives you the perfect hand or foot bath to prepare for manicures or pedicures. Only $36 for 35 oz! 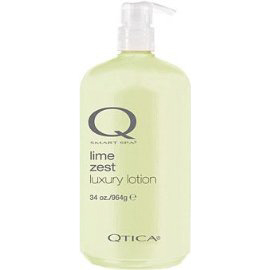 Qtica Luxury Lotion is a unique balance of vitamins, nutrients and essential oils creates the perfect therapy lotion that helps repair dry, damaged skin. Only $36 for 35 oz or $14 for 8.5 oz!